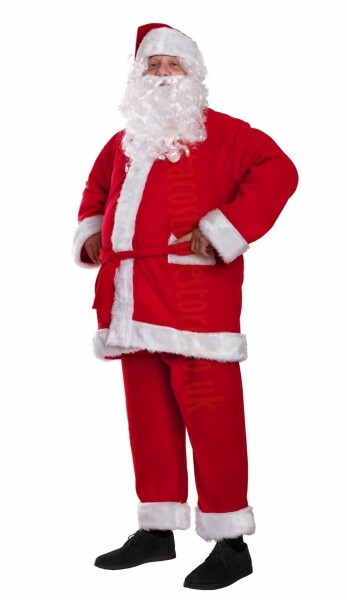 The most popular Santa suit model available in our shop. 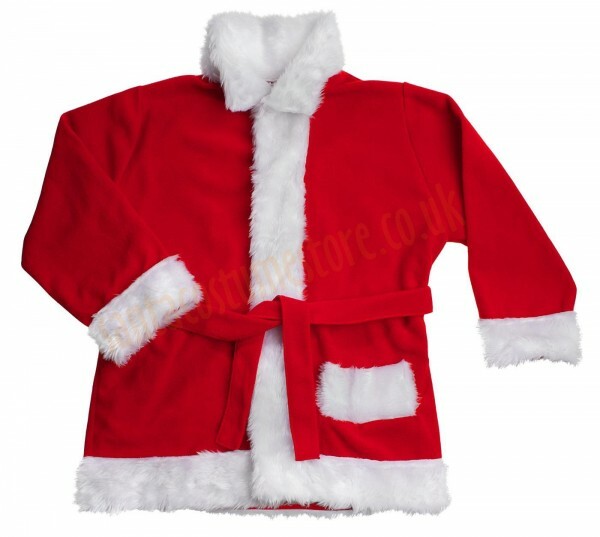 The costume comprises a jacket, trousers and cap, all made of durable fleece – and, for that extra touch, trimmed with a soft and snow-white band of faux fur. The set comprises 9 parts. 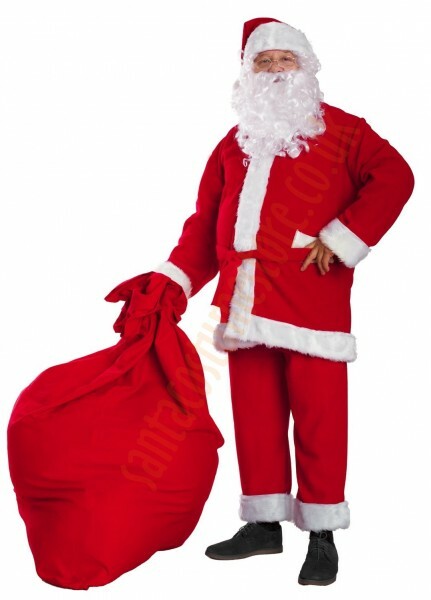 The set comprises: fleece Santa costume (jacket, trousers and hat); beard (12"-15.5"/30-40 cm) with wig; Santa belly; neutral-lens glasses + case; and a sack for presents (43.5" x 55"/110 x 140 cm). 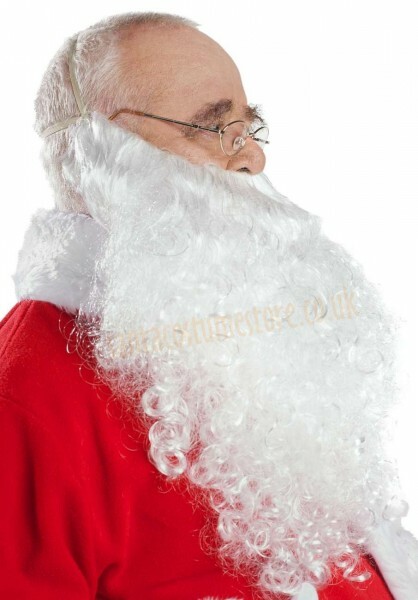 Glasses suiting the Santa Claus suit are an important part of the costume. 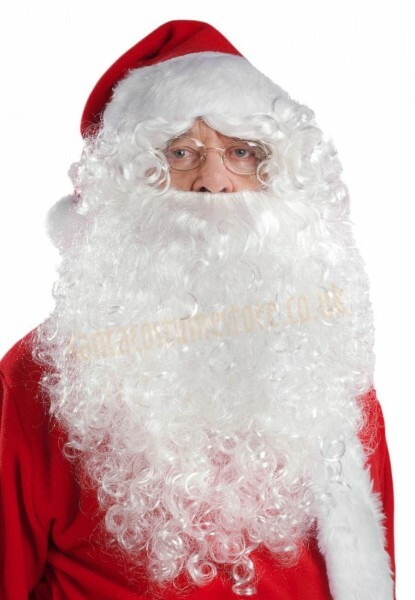 Ours come fitted with neutral lenses, although if Father Christmas happens to be poor-sighted, corrective lenses can be fitted to ensure proper spectacles that look the part. 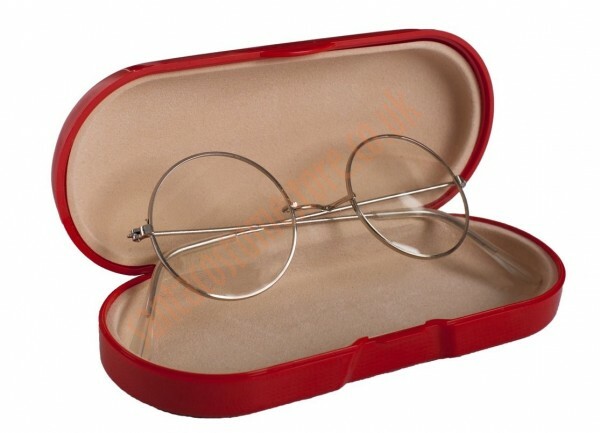 The glasses come in a hard case to prevent accidental damage; although it may differ in appearance from the case shown in the photo it will always be a hard case lined on the inside. 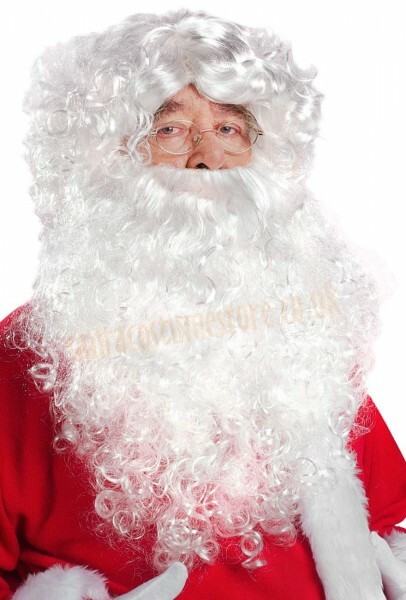 Our Santa belly for wearing beneath Father Christmas’s jacket means that even a slim man can easily transform into everybody’s favourite Christmas character. 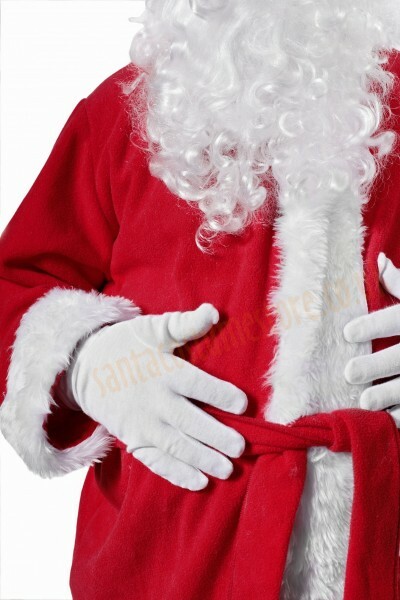 Thanks to its broad range of adjustments the belly can fit the wearer perfectly, giving that natural appearance – and helping Santa Claus feel at ease. Tied at the neck and with a buckle at the waist, there are additional elastic straps for attaching to the legs, thereby keeping the belly in place. 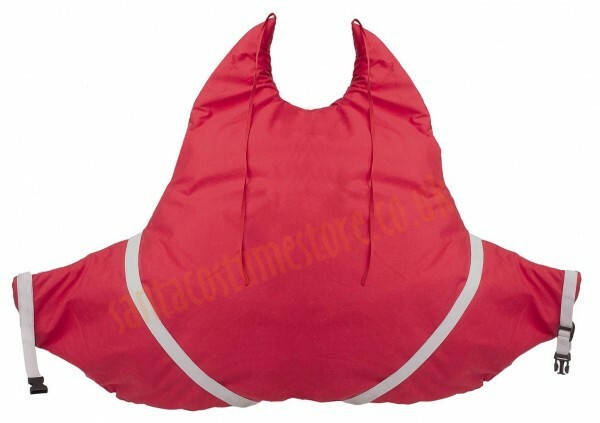 It is made of red material, with cotton on the side that fits against the wearer’s body, so that the wearer doesn’t feel too hot. 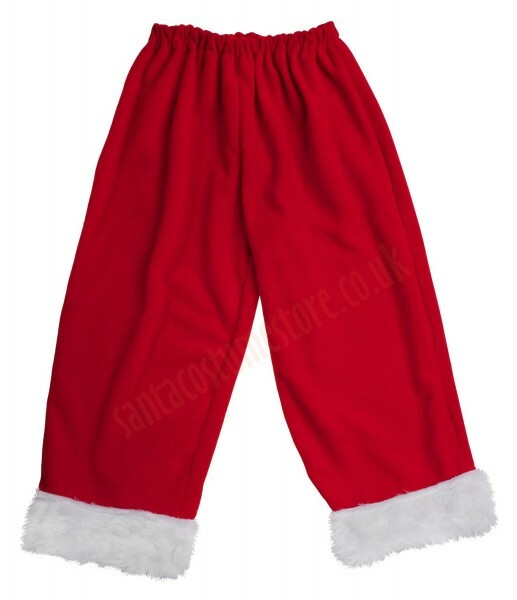 An essential addition to the Santa outfit for all those slim would-be Santa Clauses! 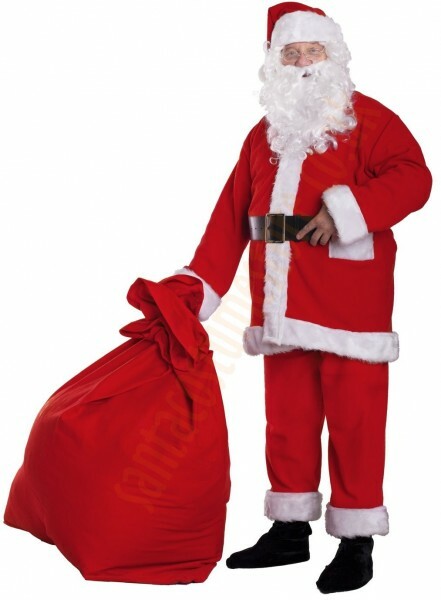 Could Santa be Santa at all if not for his large, red sack packed full of Christmas presents? 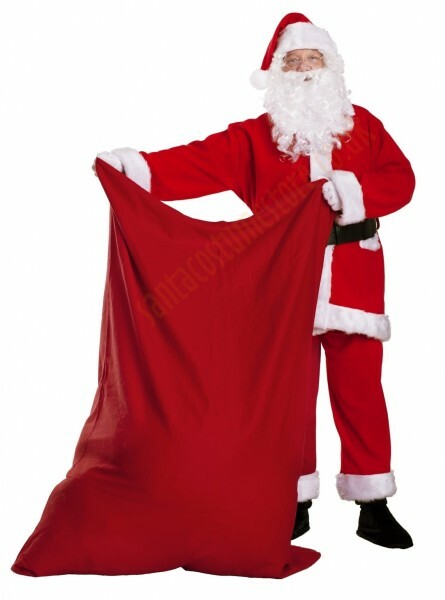 Impressive in size, at 43.5" x 55"/110 x 140 cm, it really can hold a mountain of gifts, and because it’s made of strong and thick denim-canvas and features a double-stitched seam, even a really heavy load won’t be a problem. 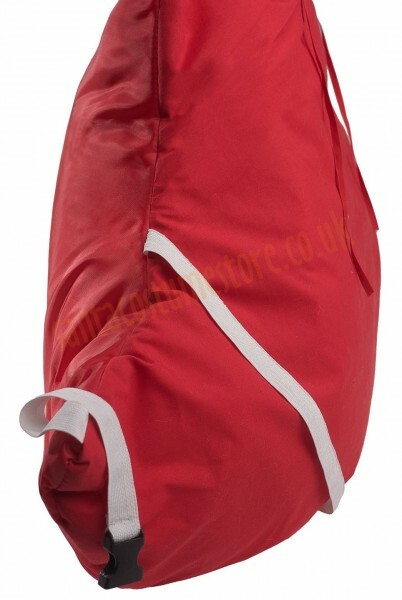 The Santa sack features a drawstring to make sure even the smallest of gifts doesn’t fall out. 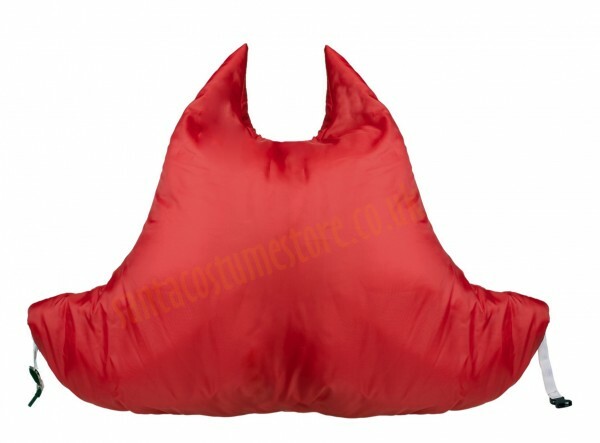 And as it’s two-sided, if it gets dirty you just need to turn it inside-out and you can carry on using it. 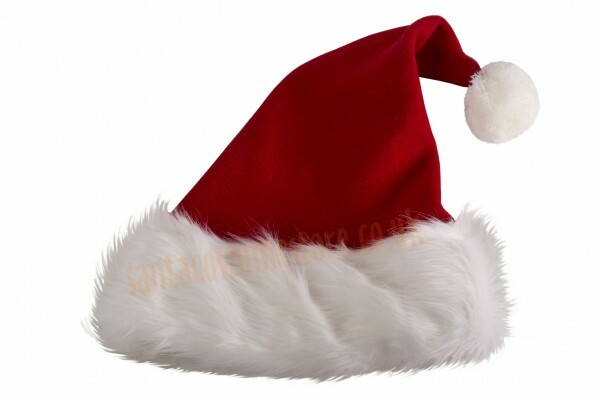 A crucial addition to the Santa suit. NB: this set does not include the shoes, gloves and the T-shirt shown in the photos (they may be bought separately).